At Can Cortès we offer you a wide range of menus with the best healthy Catalan cuisine with appellation of origin. You can dive into the culture and tradition of our kitchen. The local products are our main characters, our menus cooked with patience and success. In addition, we firmly believe in Seasonal ingredients, which present their best properties at different times of the year and that we incorporate into the menu and menus when it is touched. Imagine enjoying these moments and dishes in an incomparable setting, in the middle of Collserola, and just 5 minutes from Barcelona. ENJOY RIGHT TODAY YOUR CALÇOTADA MENU AT CAN CORTES !!! ENJOY CALÇOTADES at CAN CORTES !!! 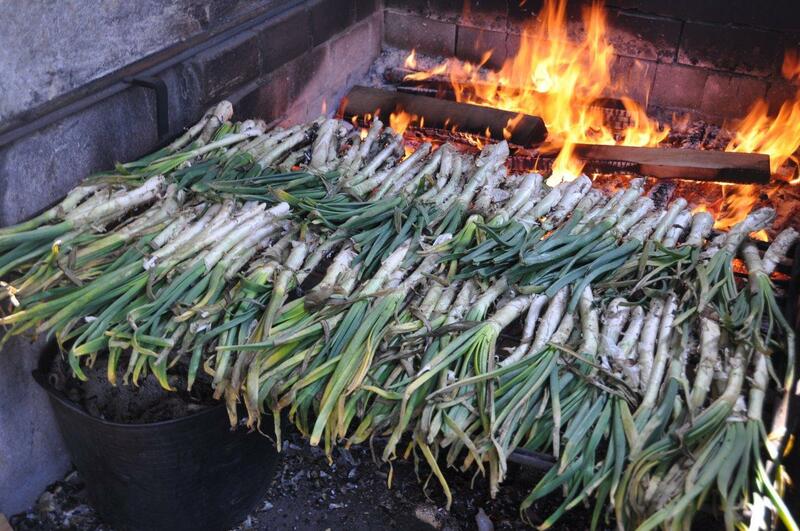 Come and enjoy the authentic calçotada in Can Cortès. Come and taste our Catalan calçotada in the middle of nature, with stunning views and just 5 minutes from Barcelona and Sant Cugat del Vallès. Calçotada Menu on Weekends and holidays at € 38.9 with bread, wines, coffee and VAT included. SPECIAL OFFER IN BUSINESS DAYS: More than 20% discount on Calçotades from Tuesday to Friday (excluding holidays), Calçotada Menu for just 31,12 € !